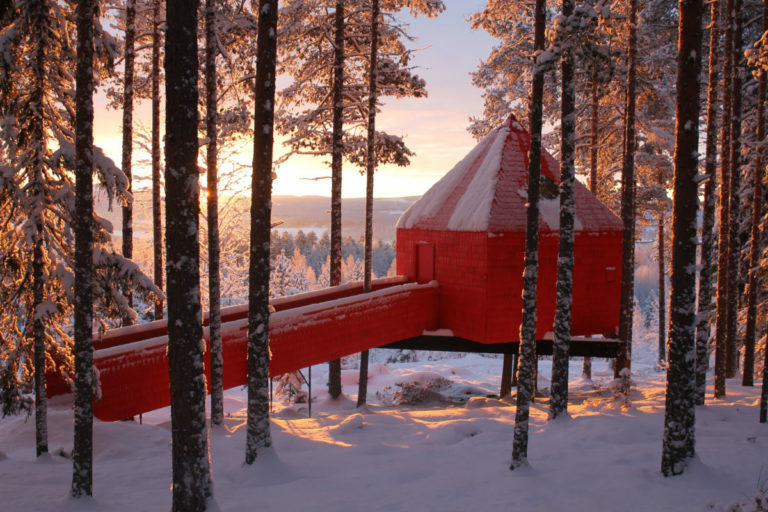 The Treehotel is arguably one of Northern Sweden’s most famous accommodations and rightly so. 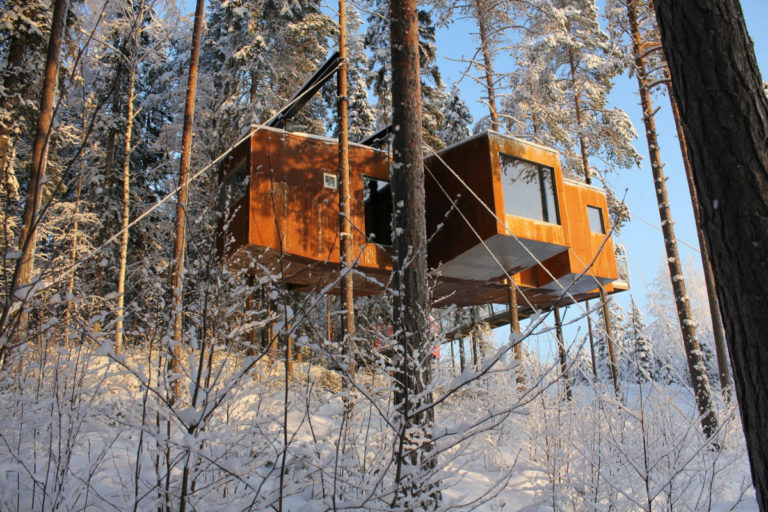 Seven beautiful and uniquely designed rooms all nestled within the treetops of the pine forest in the quaint village of Harads. 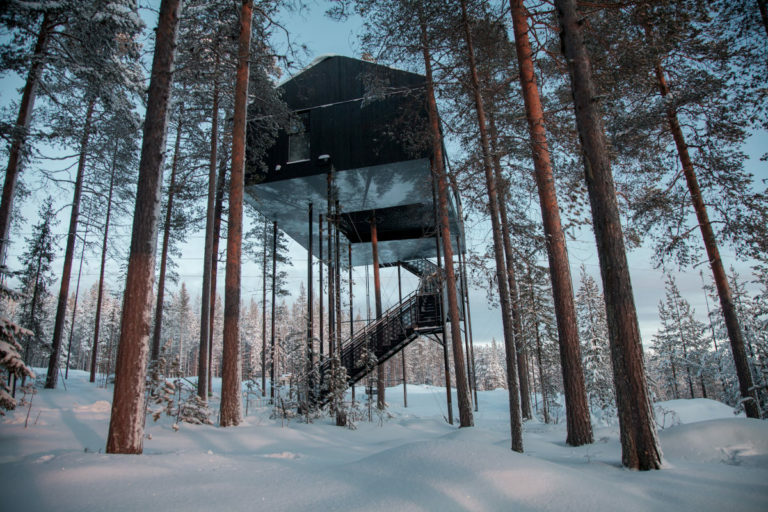 You can gaze out at the spectacular Swedish valley views from the Mirrorcube, marvel at the Midnight Sun from the UFO or watch the Northern Lights dance above you from the open air terrace from the 7th Room. Each room is completely different and sleeps a different number of people. Each have their own toilet and the larger rooms the Dragonfly and 7th Room also have their own showers/bathrooms. If you are staying for more than one night it is highly recommended to swap rooms to experience a different one! Britta’s Pensionat, a unique guesthouse which also doubles as the reception area is home to a cosy lounge area and an amazing restaurant where the Chef’s passion for food and the very best local products shine. 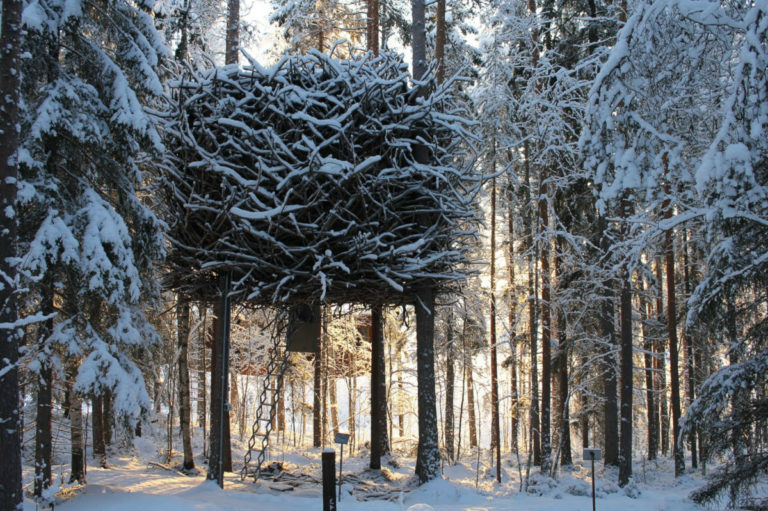 There is also a wide array of activities on offer here such as Northern Light photography, dining in the treetops or exploring the Storforsen, one of the highest unrestricted white-water rapids in Europe.